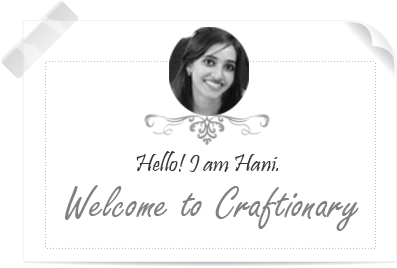 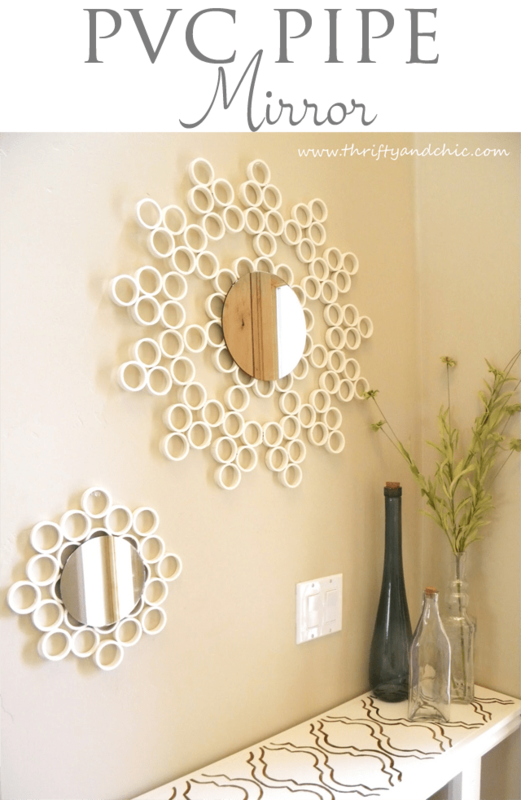 Learn to make custom frames and decorative mirrors with DIY Wall Mirrors. 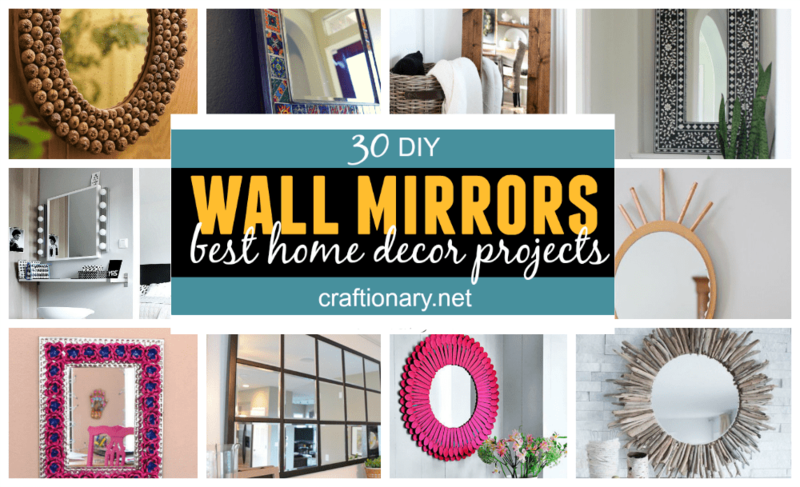 These 30 best home decor mirror projects are great to make any home look expensive and stylish. 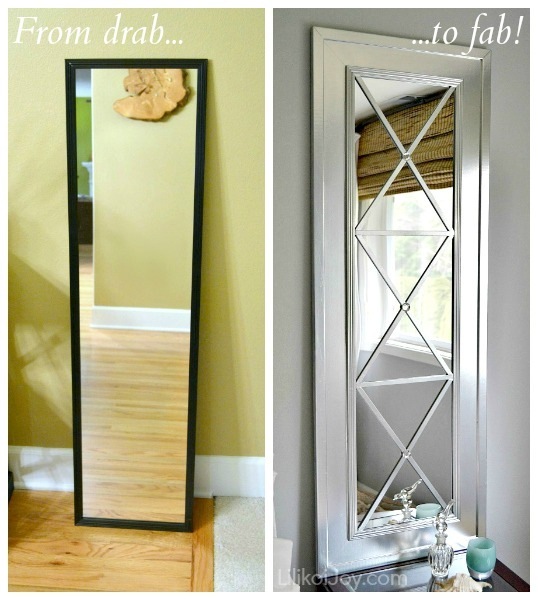 Mirrors are a great way to make a home look extraordinary with elegance and sophistication. 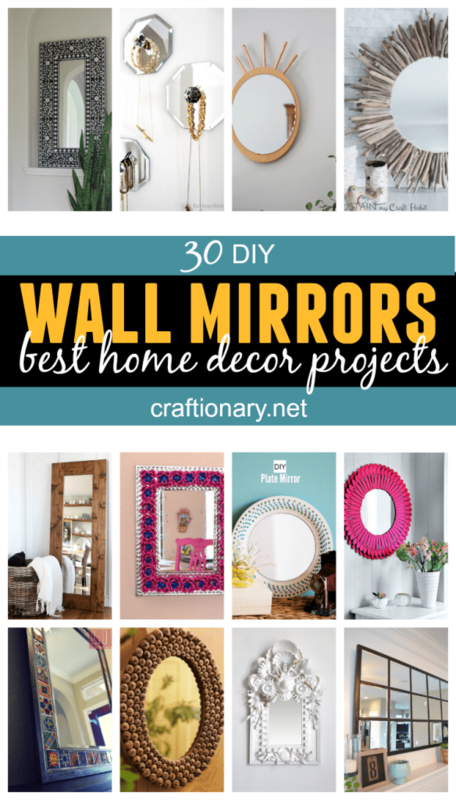 Whether you like modern, rustic, vintage (antique) or unique wall mirrors, these ideas will help you decide what you want. 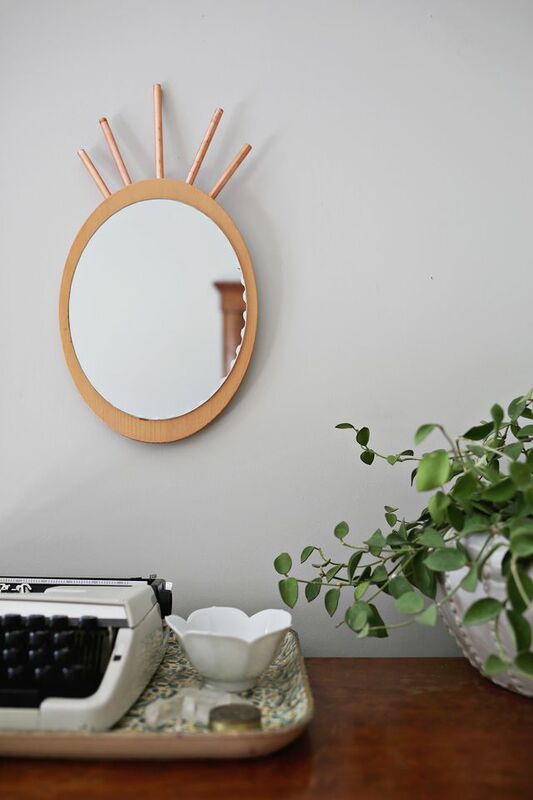 Find ideas to revamp a simple mirror into a classic piece of art that can artistically fit in any home decor. 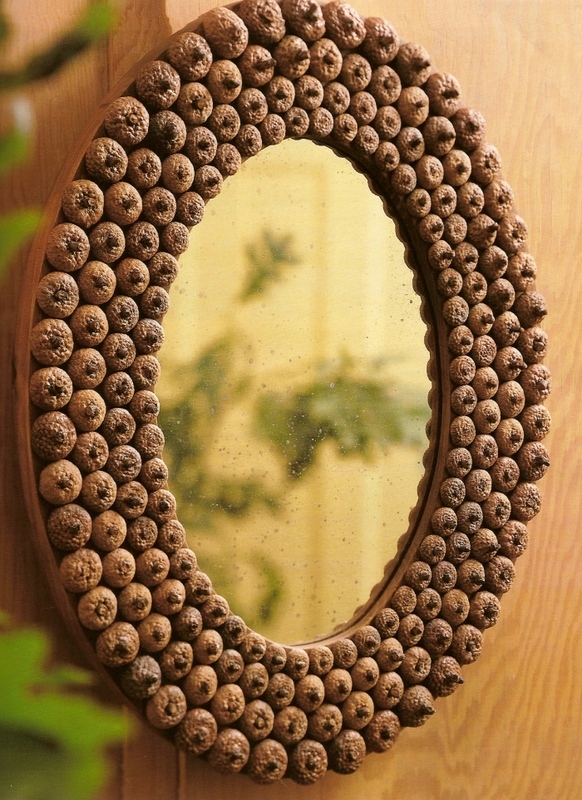 There are many creative ways to decorate and design any mirror border. 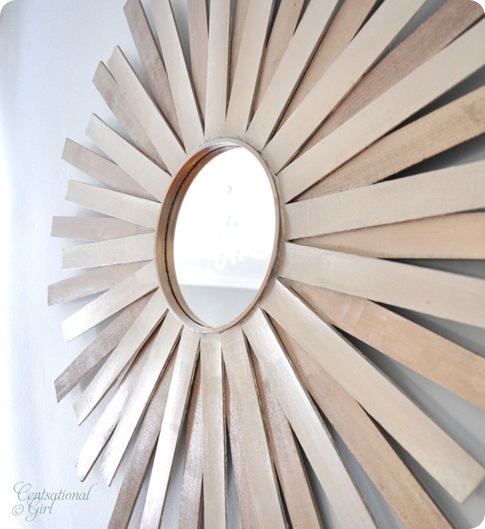 Sunburst and starburst mirrors are one of my favorite.You can use some marbles, stones, shells, small mirrors, wooden pieces or even flowers. 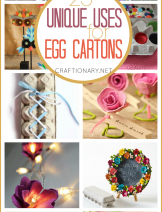 There are also ideas if you are going to try upcycling like plastic spoons, egg carton flowers, toilet paper roll or straws etc. 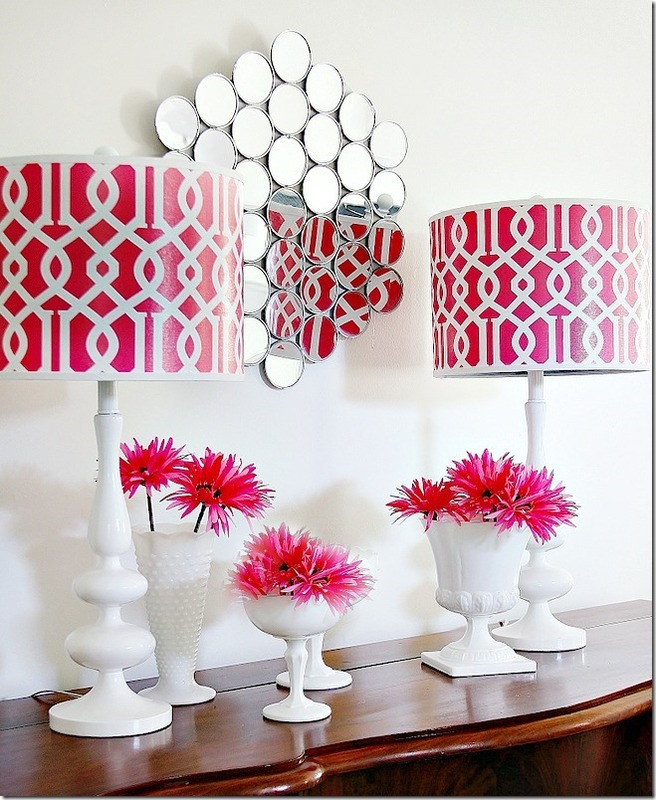 Use stencil and paint to create a beautiful painted wall mirror. 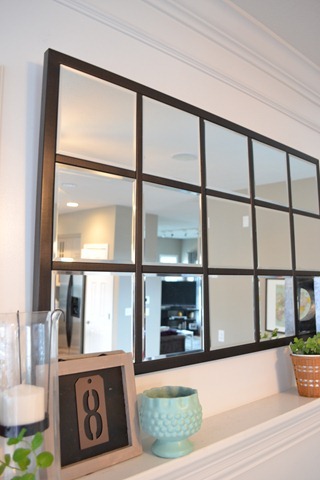 Add a mirror to custom designed wood frame with copper pipes. 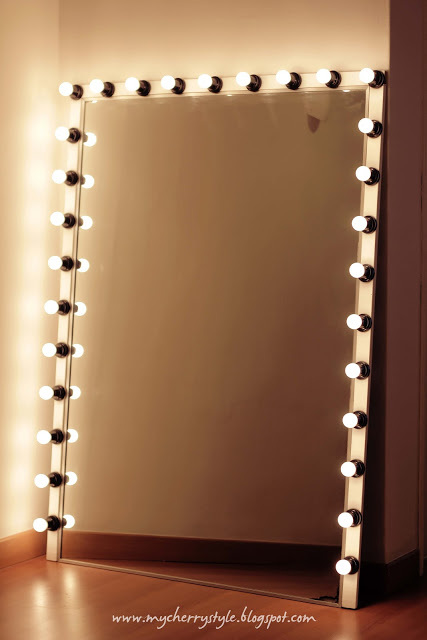 A functional multi-purpose mirror with hidden storage. 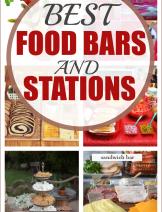 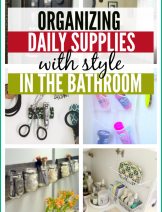 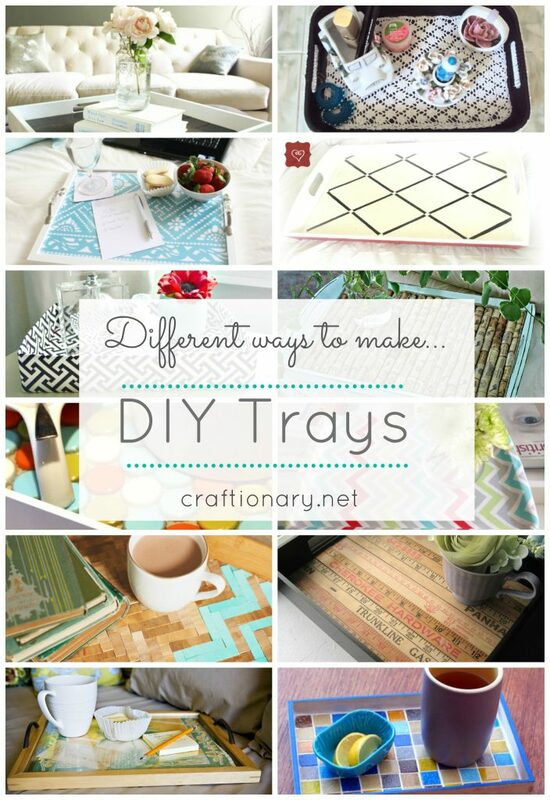 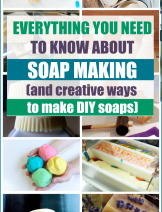 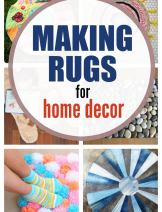 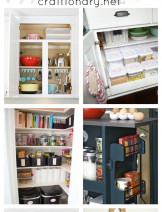 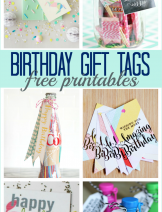 Great for jewelry, makeup and bathroom amenities. 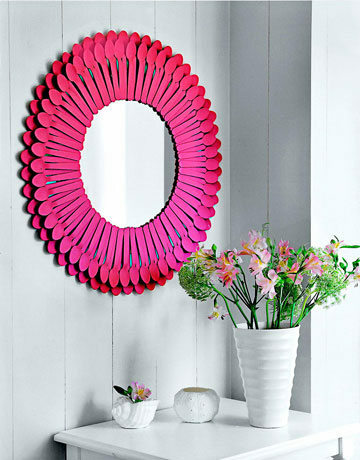 Amazing mirror revamp with spray painted spoons and more spoon mirror crafts. 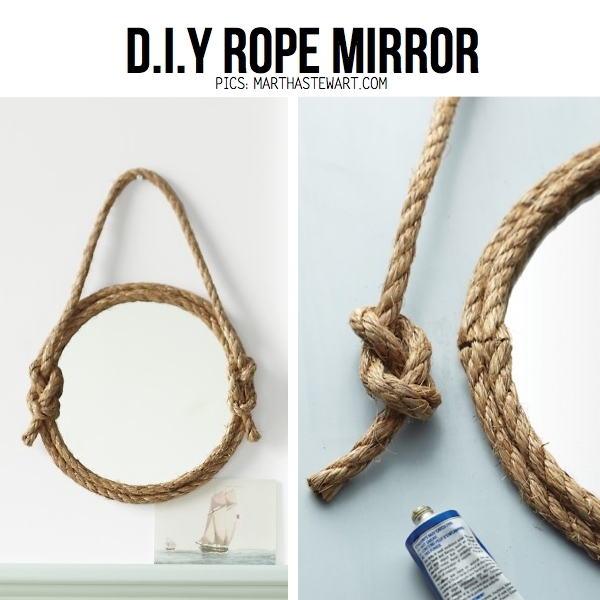 Make a stunning masterpiece out of a simple mirror. 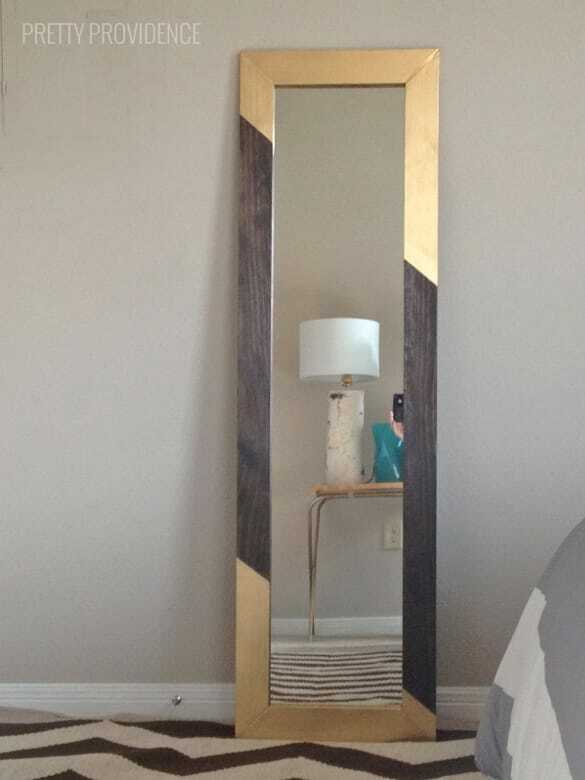 Stain a piece of wood and stick a mirror to it. 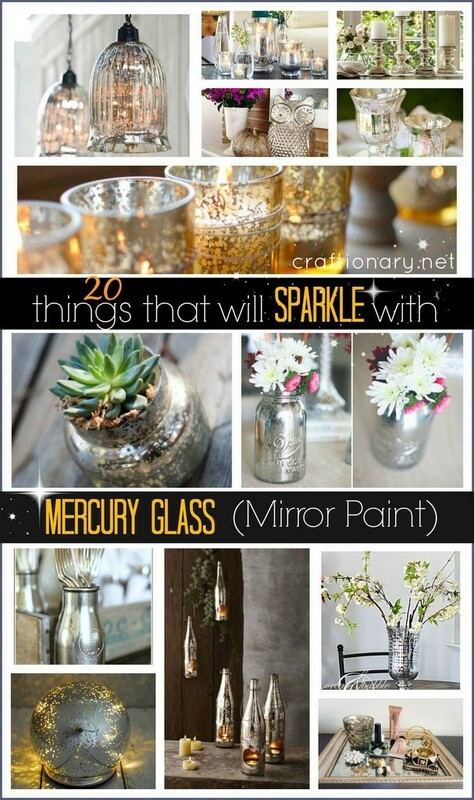 Easier than it seems and beautiful to have at home. 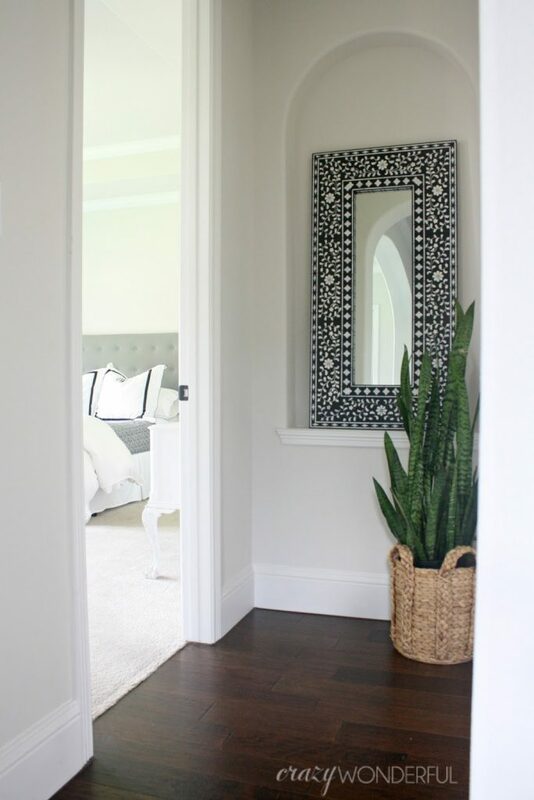 A great mirror frame with usefulness we all ask for! 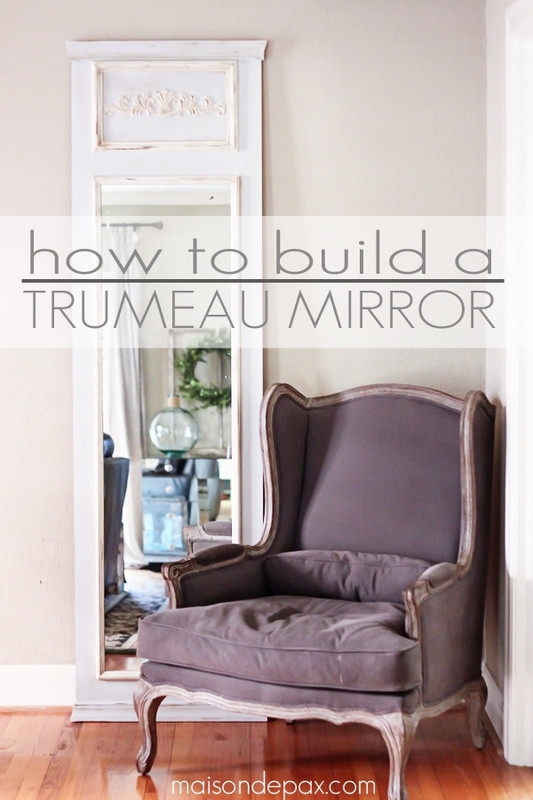 How to build a trumeau mirror? 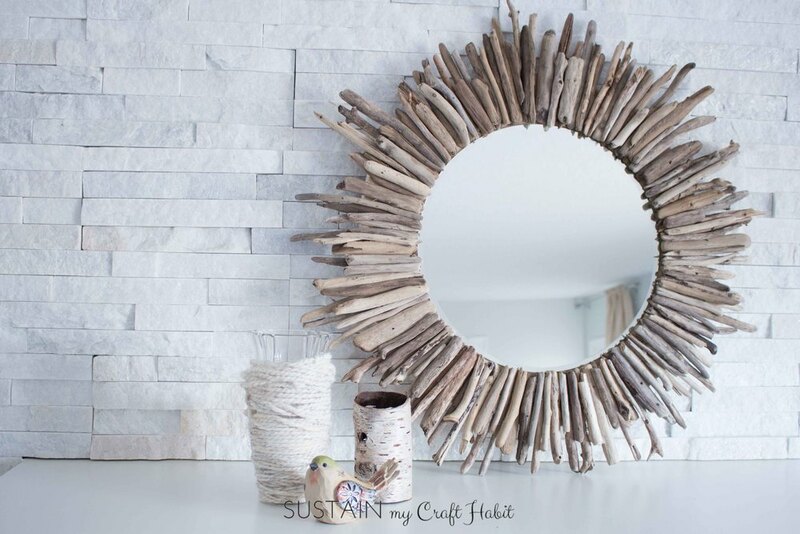 Use mirror squares from dollar store to create this simple and elegant piece for decoration. 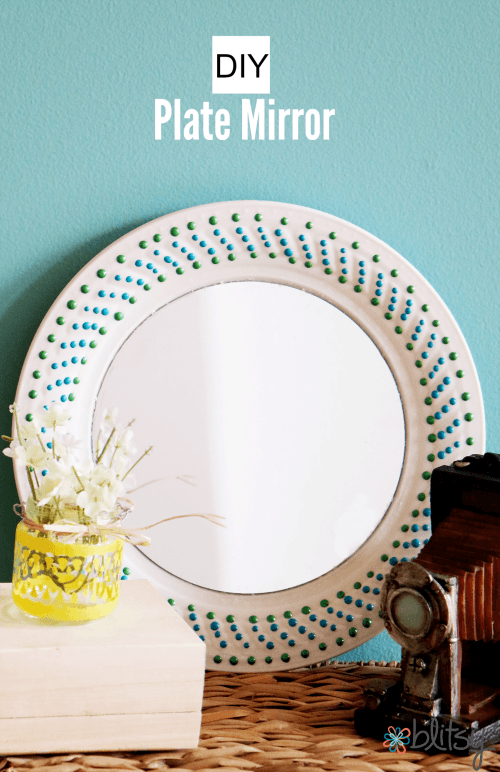 Turn a simple plate into a beautiful mirror with painted polka dots on the side. 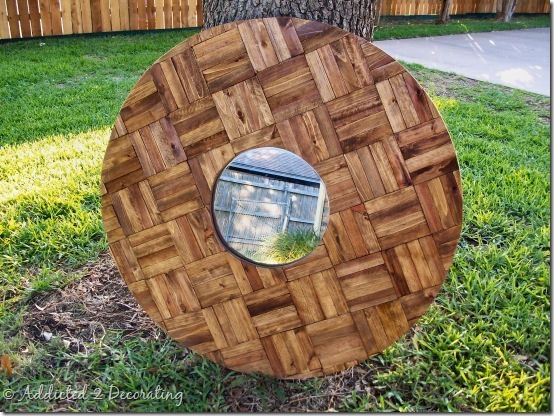 An artistic mirror work of excellence by Codor Designs inspired me to share this project. 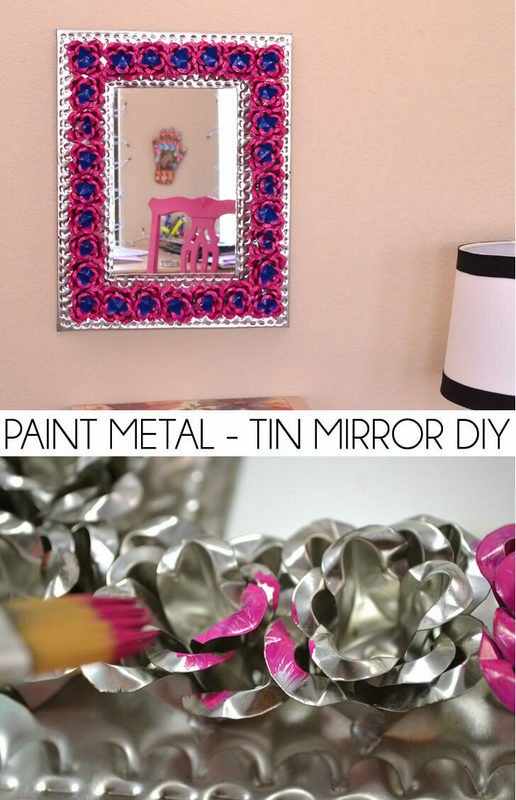 Spray paint and glue beautiful pottery or plastic pieces to create this mirror at home. 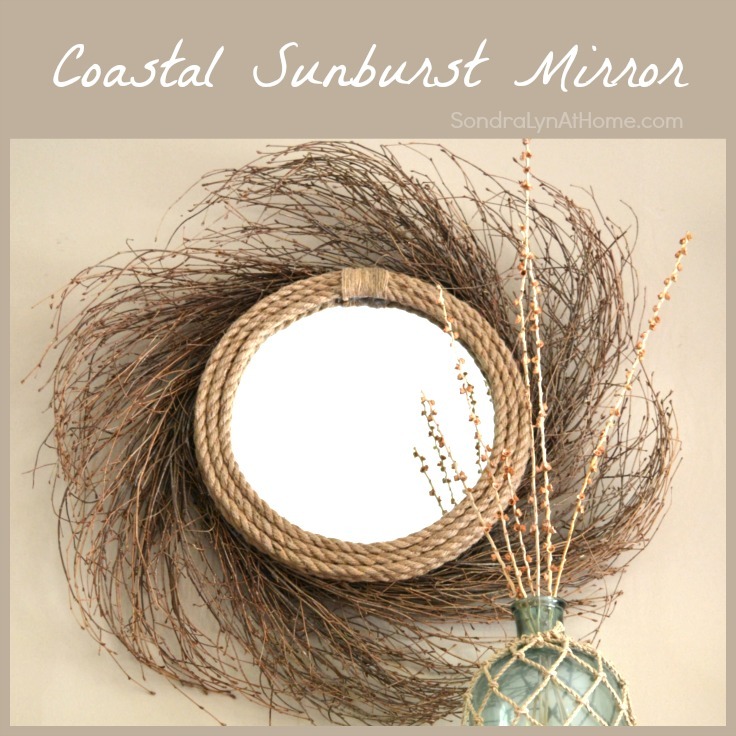 A great mirror to have for a vacation home, coastal beach cottage or a theme room. 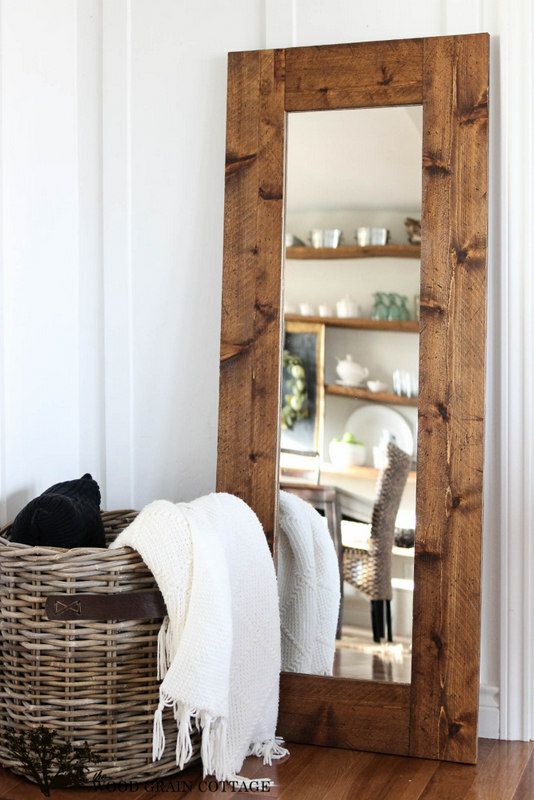 How To decorate Mirror with wood shims? 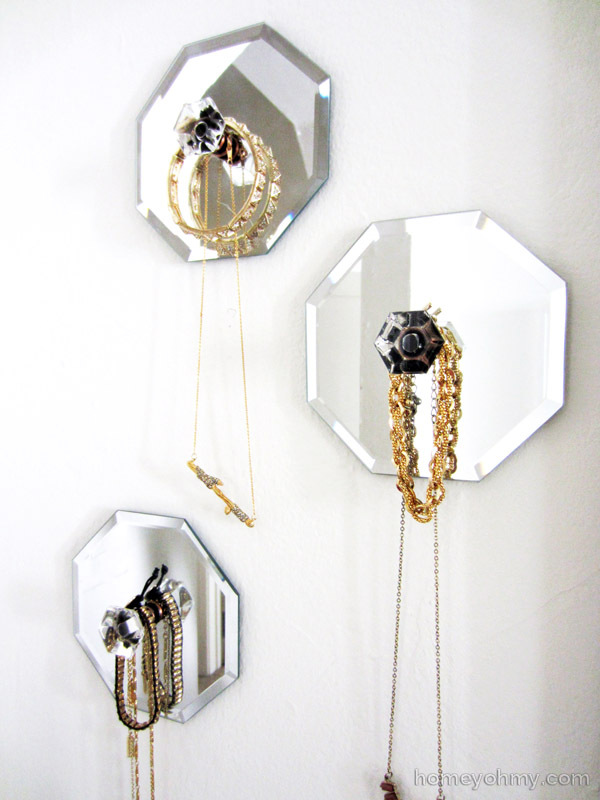 Use makeup mirrors to make this brilliant mirror art. 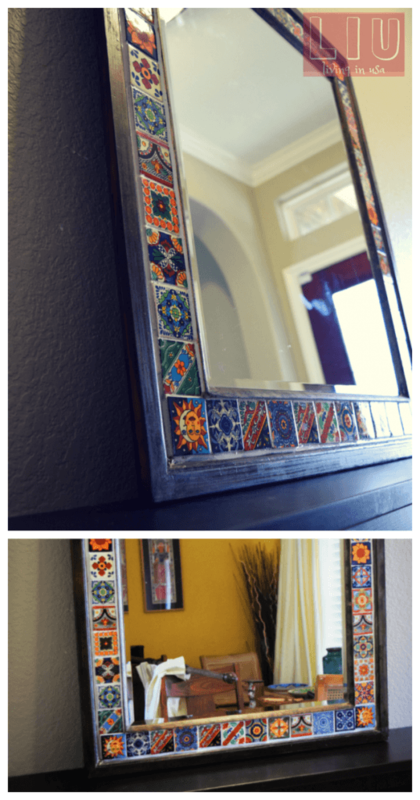 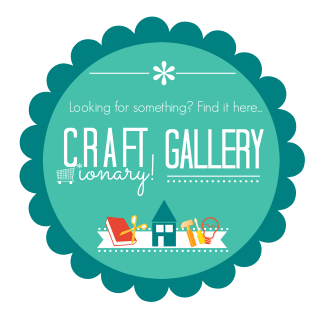 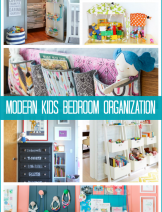 Impressive DIY mosaic projects that you will be amazed to see! 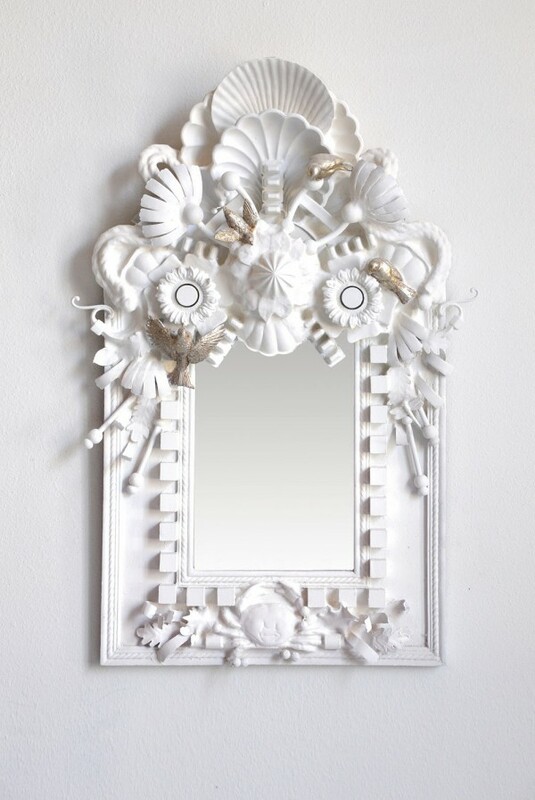 Glue tiles of your choice and turn any mirror into a beautiful work of art. 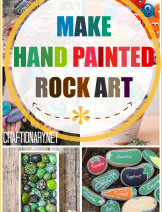 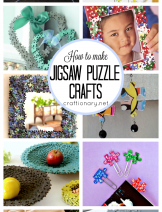 Beautiful crafts created with acorn. 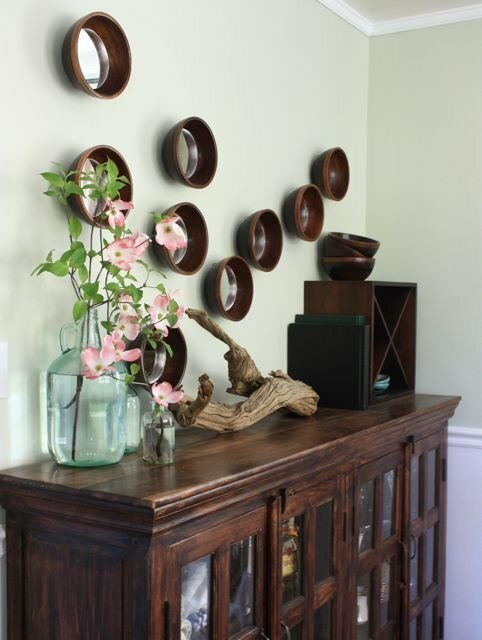 Use mirrors as accessories holder around the house. 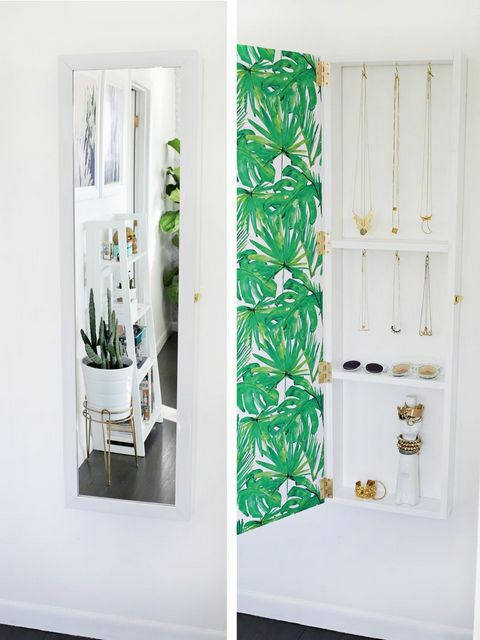 Mirrors are a great way to make any space look bigger, brighter and are functional as the same time. 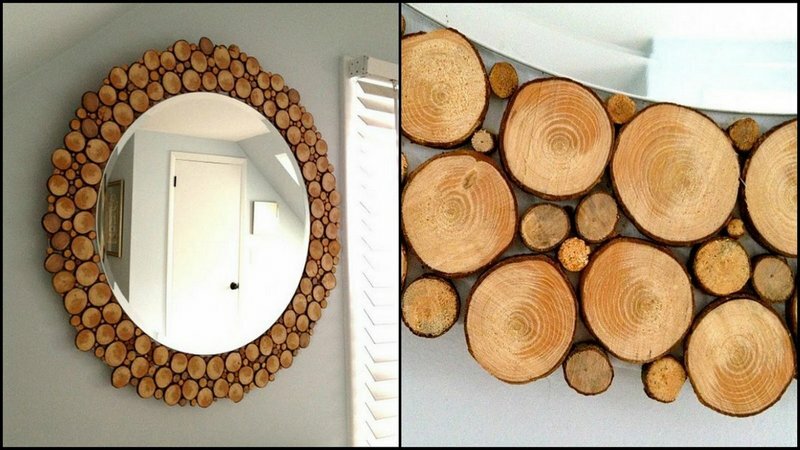 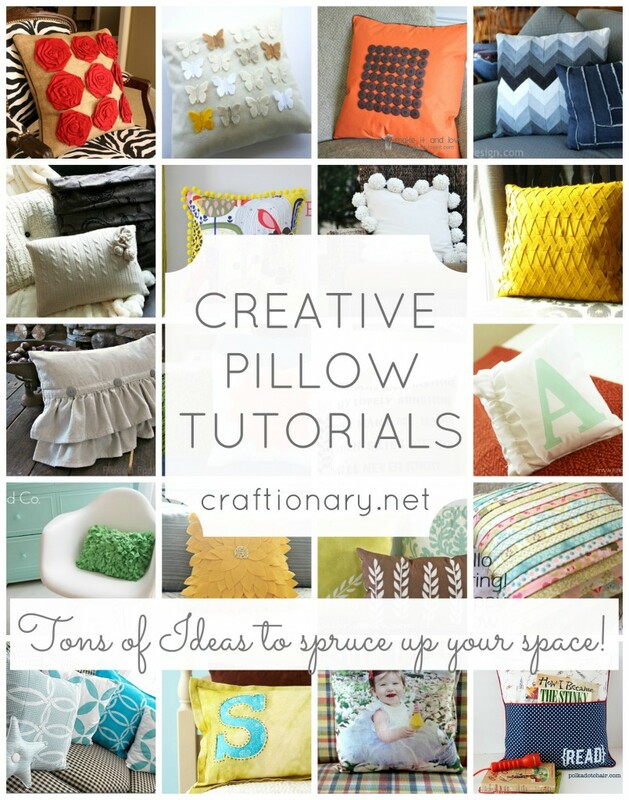 So stop drooling over those highly priced mirrors and make yourself one with these cool and stylish ideas.